Grainger Public Relations » Dundee Science Festival’s Superhero Powers! Dundee Science Festival’s Superhero Powers! 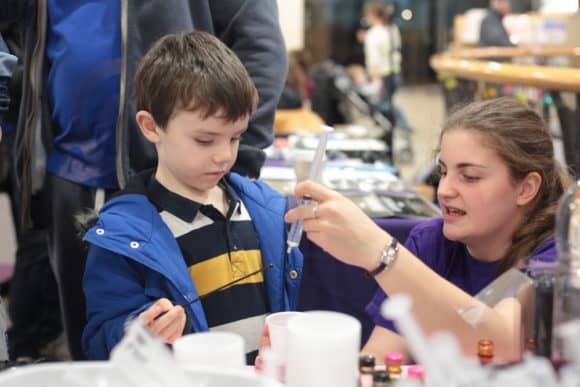 Over 13,000 people embraced Dundee Science Festival 2015, according to a recently published report. Launched by a motley crew of superheroes back in November, the city was transformed into a hub of inspirational events, family fun days featuring everything from puppies to comic heroes, mind-boggling exhibitions and lectures. The festival team can now reveal that the packed programme exceeded their audience expectations and Scottish Government targets. The sixth Dundee Science Festival brought over 40 events to Dundee from Saturday 31 October through to Sunday 15 November 2015. Once again, the emphasis was on free events, with most taking place within Dundee Science Centre, as well as community venues, schools and shopping centres, not forgetting the Dundee and Angus College culinary challenge judged by former chef and Dundee West SNP MP Chris Law. It has emerged that over 13,000 people took part in the festival, building on the Scottish Government’s target of 10,000. Nearly 10,000 attended public events and exhibitions, and almost 4,000 took part in the schools events. For more information on Dundee Science Festival, please visit www.dundeesciencefestival.org or follow Dundee Science Festival on social media – www.facebook.com/dundeescifest (Facebook) or @dundeescifest (Twitter).